It’s quite common to look at the world’s largest companies and think ‘I could never start something like that’. And most of us would be right. Companies like Amazon, Apple and Google took decades to get where they are today – they certainly didn’t start that way. The founders began by creating an online bookstore, a computer, and a search algorithm. These humble beginnings also apply to professional IT and business services company FDM Group. 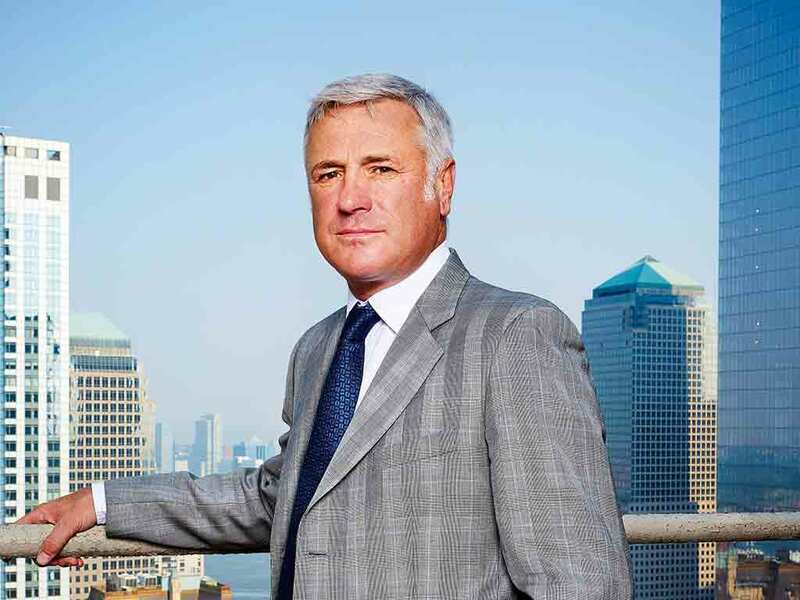 Founded in the UK by CEO Rod Flavell, the company now boasts offices in several international business hubs, including London, New York, Frankfurt and Hong Kong, among others. Google, Facebook, Amazon, Mattel and Disney were all born within the small space of a garage. FDM came from similarly humble beginnings. Rather than a garage, however, FDM came to fruition in the confines of Rod Flavell’s attic. As you can see, starting in small spaces seems to foreshadow a business destined to leave a large legacy. I’ve personally worked with Flavell for almost a decade and have experienced the rise of FDM. There are several key things Flavell did to transform his home-run business into an international IT services provider with over 130 clients in multiple industries and revenue of £123m. Plans and dreams are two different things. A plan needs to be SMART (specific, measurable, achievable, realistic and time-bound). This could involve creating a product, developing a service or launching a new innovation. Whatever it is, it needs to be researched and well considered before you can set out to achieve it. The best plans continue to be developed along the way, but a solid foundation is needed in order to achieve great results. FDM started as a small recruitment company, placing freelancers in the financial sector. Over time, the business evolved to become a professional services provider with a focus on IT, training candidates in-house to become FDM consultants and placing them on client sites in many other sectors beyond the realm of finance, including: insurance, media, retail, telecoms and non-profit. Flavell stuck to the plan and achieved it, while developing further plans, enabling the business to continue evolving and growing. Hand-in-hand with plans go mistakes. We all make mistakes in business. Mistakes are essential to gaining experience and learning, as well as bringing you a step closer to achieving your goals. Someone once said to me that if you aren’t making mistakes, you aren’t aiming high enough. I have found this to be true. Flavell isn’t afraid to admit when he has made a mistake, but he ensures that he learns from it, which is key in order to progress and get the business to where it needs to be. Challenges are inevitable, but Flavell has confidence and perseverance on his side. Today, FDM is succeeding in the North American market, but back in 1998, during the company’s first venture across the Atlantic, it wasn’t smooth sailing. Like many British companies coming to the US, FDM was not successful to start with. The business also struggled in Frankfurt in 1999. The mindset, culture and competition were completely different. Even though the concept of the business model has always worked globally, Flavell had to adapt the business’ approach to suit local markets. “Change is the only constant in business and also in life. If we aren’t changing and constantly reinventing ourselves, then we simply aren’t progressing”, says Flavell himself. Building a successful business from the ground up isn’t easy, and very few can do it alone. You need loyal, enthusiastic and passionate people to work with you to drive the brand forward. Flavell has a strong board and a committed senior management team, with decades of industry experience. When FDM opens a new office, Flavell ensures that at least one of the senior managers relocates there for a period of time, to ensure that the company culture is transferred to the new FDM hub and infused into the mindset of the local employees. Incorporating regional knowledge of the market through the employment of local talent and embracing the area’s culture is imperative, but maintaining the company’s DNA is just as important, which is something Flavell has learned throughout the years. FDM is made up of over 60 nationalities, with around 50 percent of the management team being female, which is rare in the IT industry. Research has shown that those companies with more women in their management team outperformed those with fewer during the recent recession. This was certainly the case for FDM, as the business continued to thrive and employ hundreds of people per year. Flavell has created a business that is reaping the benefits of being diverse and inclusive. In order to stay ahead, you need to think ahead and be ready to act fast. Meet your competition, maintain great relationships with clients, build a strong network, and foresee what is coming next in your industry. Flavell introduced various training schemes into the FDM Academy throughout the years by keeping up with technological advancements and trends. He also focused on expanding further afield, throughout Europe, North America and Asia. FDM never stood still because Flavell knew that this would have been the end. Whether it’s a garage, a basement, an attic or a dorm room, most businesses have humble beginnings. This also applies to the careers of many of the successful entrepreneurs that we know today. My point here is that everything starts from nothing and, therefore, almost everything is possible. Vision, drive and ambition are a part of this, but it is people that make it happen. Through FDM, Flavell has been creating and inspiring exciting careers that shape our digital future for almost 25 years. His success has not come without its challenges, but he has embraced these, tackled them head-on and learned from the mistakes made along the way.